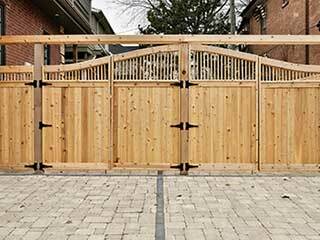 Driveway gates are easy to take for granted, but they do a lot of hard work. When you have moving parts that large and heavy being operated frequently, there’s a lot that can go wrong, especially if your system was poorly assembled in the first place. Fortunately, professional gate installation and repairs are just a phone call away. The gate opener, or operator, as it is also called, is the machine that actually does the work of pushing or sliding your gate open; if it breaks down, the only way it's budging is if you move it yourself, which would beat the purpose of having an automatic system, now wouldn’t it? Sliding and swinging gates require different types of openers, as they move very differently. However, all types are vulnerable to some kind of damage, wear and tear, and other problems, especially if they aren’t well protected. Our services include repair, part replacement, and even the installation of new openers, from underground electric models to above-ground hydraulic ones. Exposure to weather, impacts, or just the wear and tear of repeated operation can take a toll on the mechanism. Hinges, locking clamps, and the bars or panels themselves can all break eventually. Fortunately, they can also be fixed. Whether your gate slides, rises, or swings, and whether it's made of wood, metal, or synthetic polymers, Gate Repair Malibu can have it back to its old self in no time. 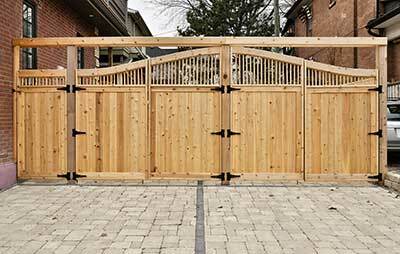 Want to add a driveway gate to your property? Need to get rid of an old, falling-apart system and get a modern one built from the ground up? Gate Repair Malibu has access to a wide variety of materials, as well as to products from major brands such as Eagle, LiftMaster, and many others. Let us help you design the custom made gate system of your dreams. From ornate wrought iron bars to classically appealing wooden panels and everything in between. Electric opener, wireless intercom, and other extra features are all on the menu as well. Don’t live without a working gate any longer than you have to. Call Gate Repair Malibu on our service hotline or contact us online and book an appointment. Commercial services available as well.